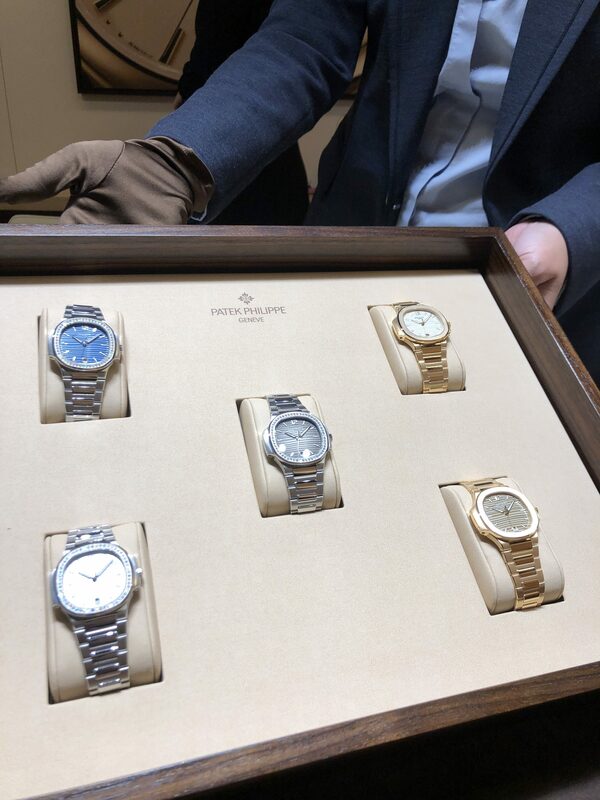 We are at the Grand Madison with Patek Philippe. 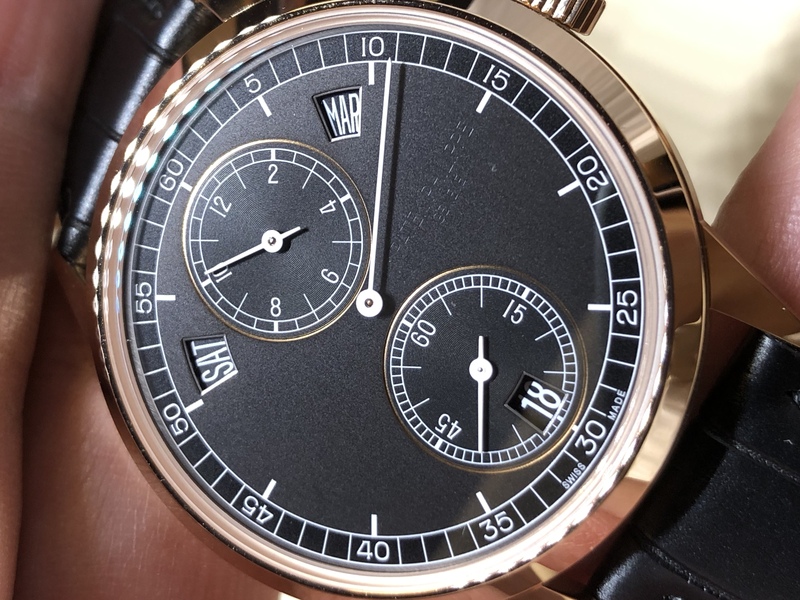 Kicking off with the 5235/50 R-001 regulator dial retail at S$68,300 in rose gold. 40.5mm, 10mm height. Day, date and moon. Ref 5905 Flyback Chronograph with Annual Calendar first launched in 2015 in plat, and now in RG. Next is the 5172 Chronograph. Handwound WG in blue varnish dial. Syringe hands. Three step lugs. Movement is CH25-535. Case 41mm x 11.45mm. 3ATM. At S$ 97,100. The new Aquanaut. In green with green strap. 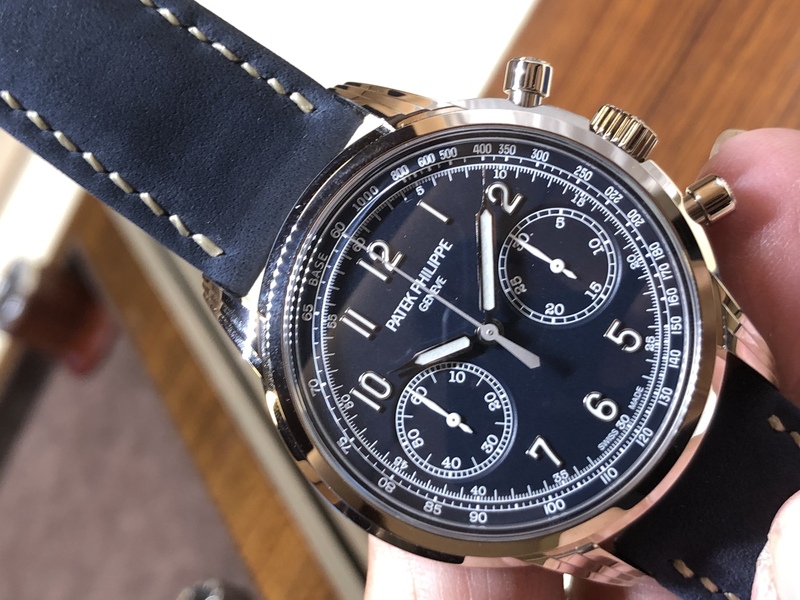 Next a new complication for Patek. The weekly calendar 5212/a. Case is 40mm x 10.79mm. WR 30m. SS case. 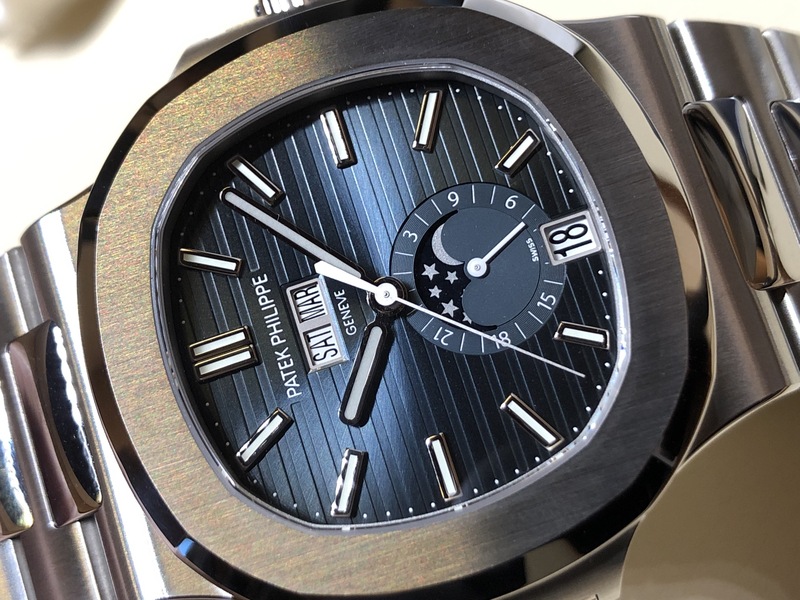 S$44,100. 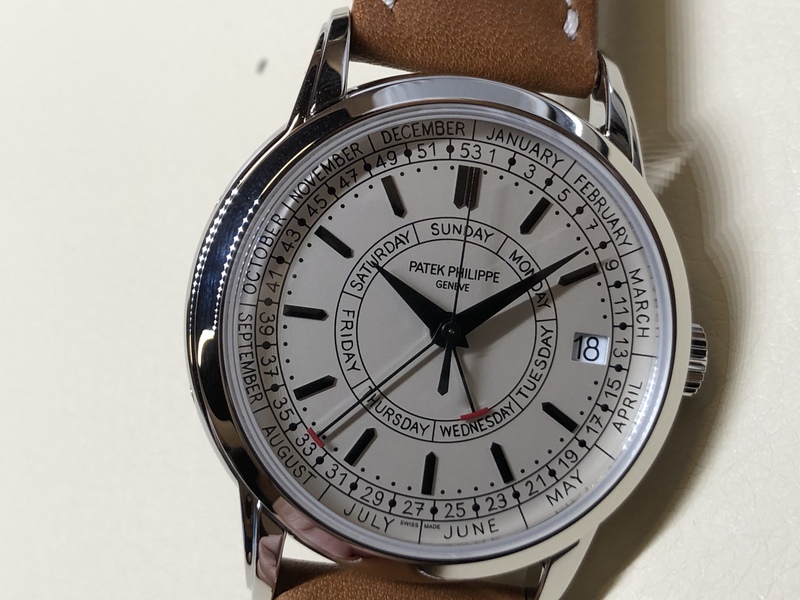 Movement is new, the 26-330 S C J SE, a development of the c324. 5231J is next. 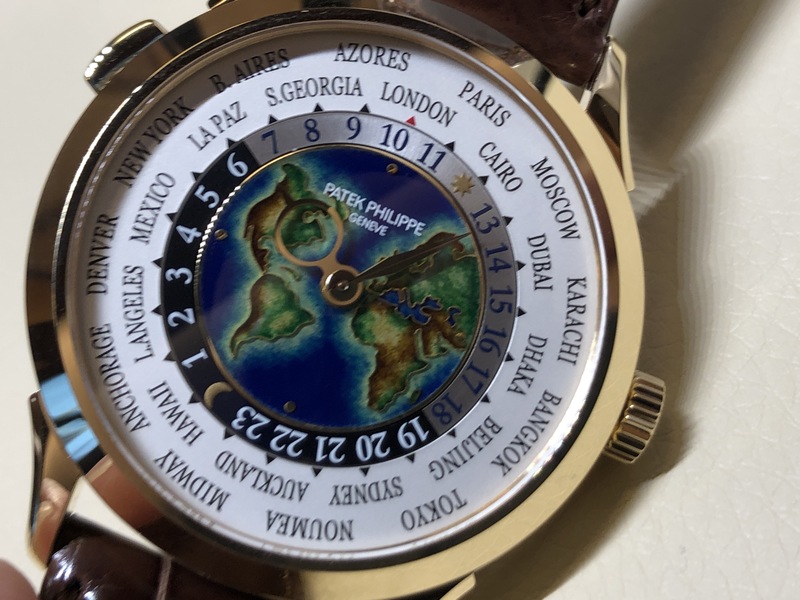 Worldtime. Cloussoine enamel central dial. Case 38.5mm x 10.25mm movement is the 240 HU. Yellow gold retail is S$ 97,100. The new Nautilus Annual Calendar 5726/1A. SS case 40.5mm with 324 S QA LU 24H. And 5 new model variations for the ladies Nautilus. Ref 7118. The new bracelet can expand up to 4mm in 2mm increments by just a pull. Elegant. A new alarm extension to the Calatrava Travel Time. 5520P/001. 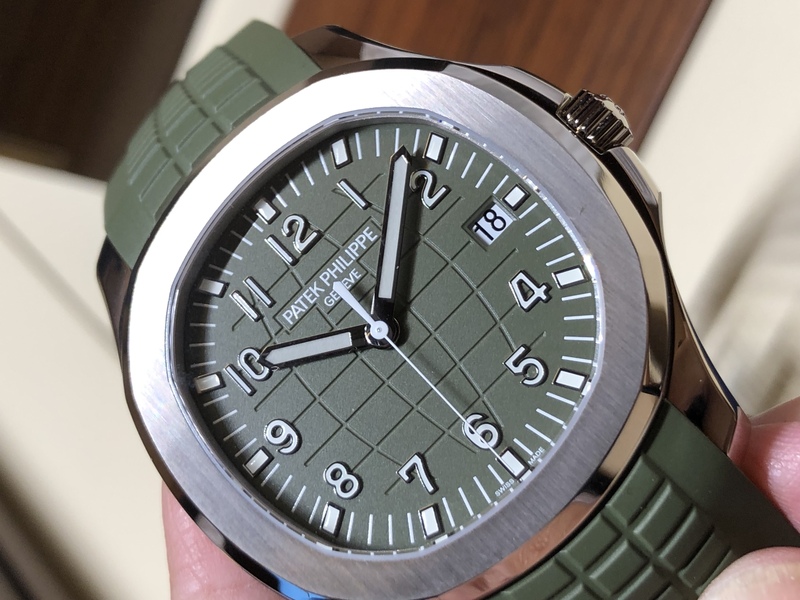 The first striking piece from PP which is water resistant. S$298,000 in plat. No pictures for now. We are arranging a photoshoot later. The gong is placed outside of the movement so that while it retains water resistance, the sound is not compromised. Four crowns – at 2 setting of alarm on/off. At 4 winding of the striking works clockwise and winding of movement the other direction. At 8 and 10 advances and retards the local time.